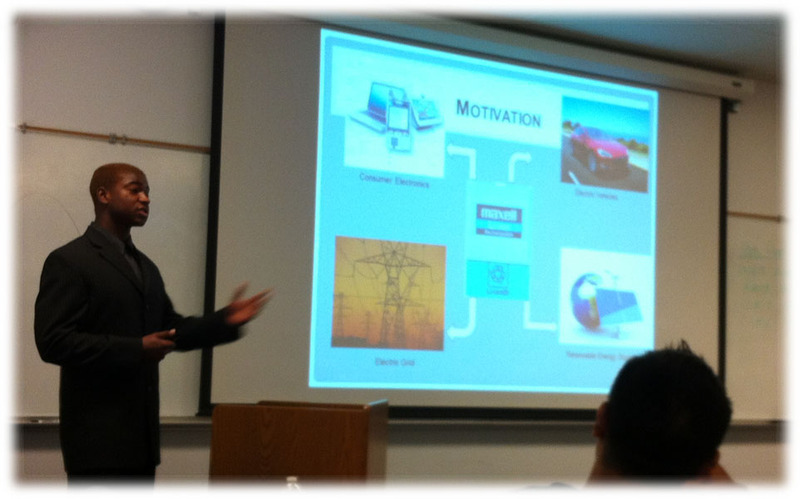 Research in our group is focused on exploring novel materials for energy generation, conversion, and storage. 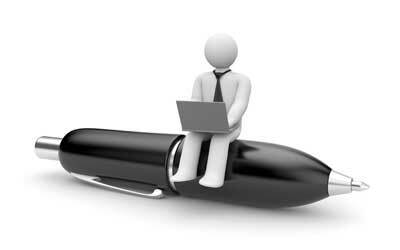 In particular, we are interested but not limited to thermoelectric materials, superconductors and highly correlated magnetic materials, ion-conductors, and heterogeneous catalysts. Understanding the structure-property relationship is a key to the rational design of such materials. 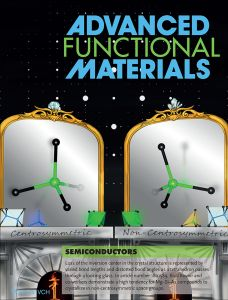 Optimization of material's performance is achieved by tailoring atomic arrangements and chemical bonding in the crystal structure, and on the macroscale by tuning heterogeneous interfaces. Graduate and undergraduate students who join our group will be exposed to a variety of techniques for synthesis and characterization of solid state inorganic materials. 4/20/19. Juyeon received Summer Undergraduate Research Scholarships. Congratulations! 4/15/19. Colin is accepted to X-ray/neutron scattering APS/ORNL summer school. 4/15/19. Justin and Shannon received Teaching Excellence Scholarships. Congratulations! 4/15/19. Shannon, Justin, Phil, Colin, and Bryan received Graduate Research Scholarships! 4/11/19. Our joint paper with Yury Kolen'ko is accepted by Int. J. Hydr. Energy. 4/8/19. Bryan's paper in collaboration with Yury Kolen'ko is accepted by Chem. Mater. 3/22/19. Georgiy received an ACS DIC Young Investigator Award. Congratulations! 3/22/19. Katherine's paper is accepted for publication in Inorg. Chem. Congratulations! 3/18/19. Justin's paper is accepted for publication in Chem. Europ. J. Congratulations! 1/9/19. Julianna's and Justin's paper is accepted for publication in Mater. Congratulations! 1/6/19. Our joint paper on CuInSe2 appears on Cover of Chem. Mater.! 1/4/19. Justin and Eranga received Arthur Hellwig Memorial Scholarships. Congratulations! 12/12/18. 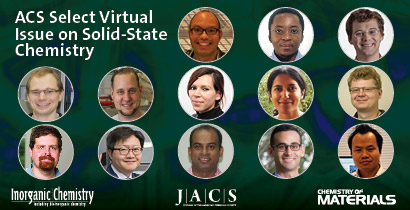 We are among ACS Emerging Investigators in Solid-State Inorganic Chemistry. 12/7/18. Joint paper with Yury Kolen'ko and Oleg Lebedev is accepted by Chem. Mater. 12/1/18. Graduate students Gayatri and Arka join the group. Welcome! 11/11/18. Brennan received Dean's High Impact Award for Undergraduate Research! 11/7/18. Joint paper with Yury Kolen'ko group on PbTe films is accepted by J. Phys. Chem. C.
11/5/17. Postoctoral Fellow Dr. Georgiy Akopov joins the group. Welcome! 10/28/18. Justin's paper is accepted for publication in ZAAC. Congratulations! 10/5/18. Bryan and Shannon received NASA Iowa Space Grant Consortium Fellowships! 8/31/18. Kirill joined the Editorial Board of Springer Nature Applied Sciences. 8/16/18. Congratulations Dr. Katherine Woo! First group PhD at Iowa State. 8/15/18. Our (PI: Corey Thompson, Purdue) Solid State Chem MRS Symposium is funded by NSF. 7/27/18. Katherine's and Jian's paper appeared on Frontispiece in Adv. Funct. Mater. 7/2/18. Our collaboration with David Carroll (Wake Forest) published in 2D Mater. 5/28/18. Kirill's and Jian's perspective is published in Nature Photonics! 6/15/18. A nice story by Iowa State LAS College regarding our discovery! 5/25/18. Jian's paper is accepted to Crystal Growth & Design. Congratulations! 4/20/18. Juli-Anna's paper is accepted to J. Solid State Chem. Congratulations! 4/18/18. Juli-Anna's paper is accepted to Chem. Mater. Congratulations! 4/13/18. Katherine's and Jian's paper is accepted to Adv. Funct. Mater. Congratulations! 4/11/18. Katherine and Bryan received Graduate Scholarships. Congratulations! 4/8/18. 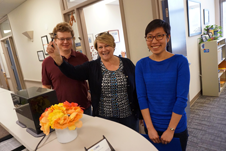 Brennan and Juyeon received Summer Undergraduate Research Scholarships! 4/5/18. Our collaboration with Xiangfeng Duan (UCLA) resulted in publication in Adv. Mater. 4/2/18. 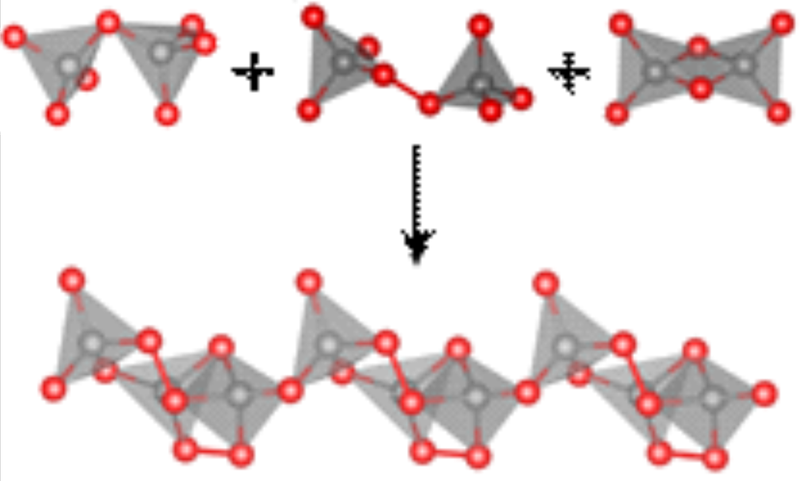 Jian's best clathrate paper is accepted to CHEM! Thanks to all co-authors. 4/2/18. 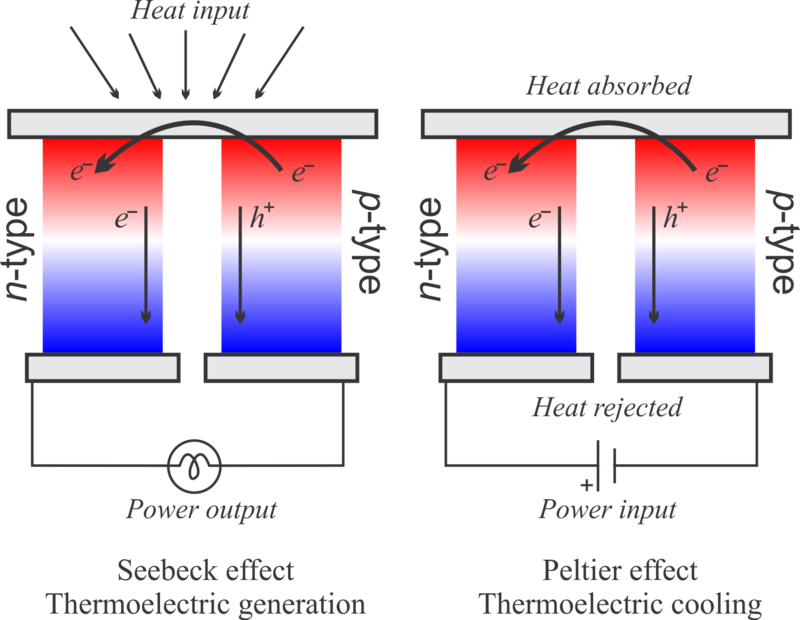 Jian and Kirill contributed to a practical field guide to thermoelectrics. 3/22/18. Kirill received Chemistry of Materials Reviewer Excellence Award! 2/19/18. Jian's paper on new phonon glass compound is accepted by J. Mater. Chem. A! 2/14/18. Joint paper with Yury Kolen'ko group on Al-NiP OER catalyst is accepted by ACS Catal. 2/4/18. 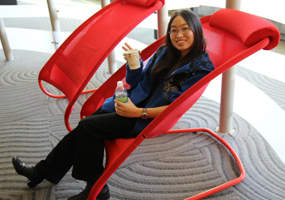 A former undergraduate, Dr. Joyce Pham moving to MPI CPfS for a postdoctoral stint! 1/26/18. 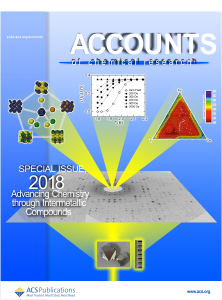 Our work appears on Cover of Accounts of Chemical Research! 1/1/18. Katherine and Shannon story regarding NASA Felowship in the local news! 12/6/17. Jian's and Juli-Anna's paper is accepted for publication in Acc. Chem. Res.! 12/5/17. Graduate students Eranga and Philip join the group. Welcome! 11/30/17. Congratulations to Dr. Greenfield, the last but not the least Ph.D. from UC Davis! 11/21/17. Katherine and Shannon received NASA Iowa Space Grant Consortium Fellowships! 11/20/17. Bryan's review is accepted for publication in Chem. Europ. J. Congratuations! 9/28/17. Jian's paper is accepted for publication in Chem. Sci. Congratuations! 9/25/17. Bryan's paper appeared on the cover of Dalton Trans. Congratulations! 9/14/17. Kirill joined the Editorial Board of Journal of Solid State Chemistry. 8/27/17. After long review process Josh's paper is accepted to Chem. Mater.! 8/22/17. 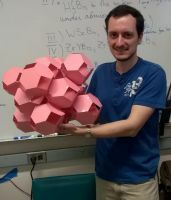 Bryan's paper is accepted for publication in Dalton Trans. Congratuations! 7/20/17. Our collaboration with Yury Kolen'ko's at INL resulted in publication in ACS Catal.! 6/22/17. Our collaboration with Sabyasachi Sen resulted in publication in Angew. Chem.! 6/12/17. Kirill has been named a Fellow of the Royal Society of Chemistry. 6/10/17. Jian's paper is accepted for publication in Inorg. Chem. Congratuations! Summer 2017. Kovnir Lab starts at Iowa State University! Spring 2017. Kovnir Lab is relocating to Iowa State University! 6/15/17. Joe received UC Davis Undergraduate Travel Award. Congratulations! 2016-2017. ACS Student Chapter under Kirill's supervision received an Outstanding Award. 4/12/17. Jian received UC Davis Award for Excellence in Postdoctoral Research! 3/08/17. Kirill has been promoted to Associate Professor. Thanks to everyone who contributed! 2/23/17. Juli-Anna received Carnegie Science Postdoctoral Fellowship. Congratuations! 2/14/17. Juli-Anna's paper is accepted for publication in Chem. Sci. Congratuations! 1/30/17. Jian's paper is accepted for publication in Inorg. Chem. Front. Congratuations! 1/27/17. 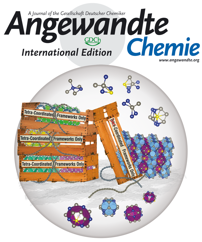 Juli-Anna's paper appeared on the cover of Angew. Chem. Congratulations! 1/19/17. Katherine received Best Talk Award at the Main Group Chemistry Symposium! 1/18/17. Our review is accepted for publication in Encyclop. Inorg. Bioinorg. Chem.! 1/5/17. Congratulations Dr. Dolyniuk Johnson! Good luck at Carnegie Institution for Science. 2015-2016. ACS Student Chapter under Kirill's supervision received a Commendable Award. 12/21/16. Juli-Anna's paper is accepted for publication in Angewandte Chemie! 12/7/16. Jian's paper is accepted for publication in Inorganic Chemistry. Congratulations! 11/30/16. 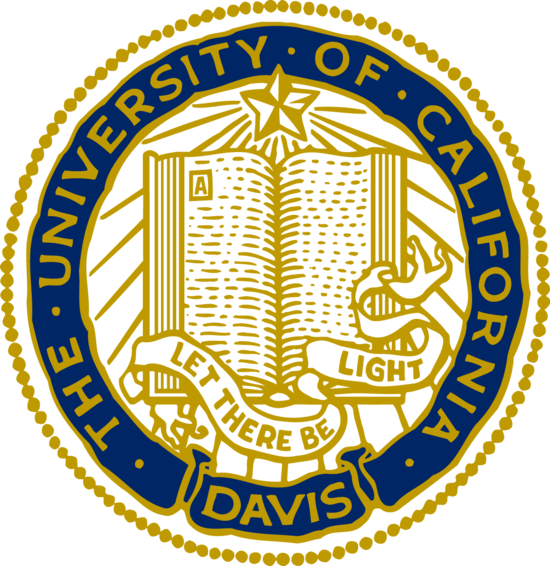 Kovnir Lab completed UC Davis Green Lab program and is Gold certified. 11/8/16. Jili-Anna published an Editorial in Chem. Mater. Congratulations! 9/2/16. Jian's paper appeared on the cover of J. Solid State Chem. Congratulations! 8/22/16. 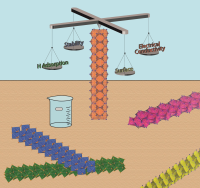 Our Review is accepted for publication in Materials Science & Engineering R! 8/6/16. Juli-Anna's paper is accepted for publication in Materials. Congratulations! 6/26/16. Jian's paper is accepted for publication in J. Mater. Chem. A. Congratulations! 3/31/16. Juli-Anna received the Alfred H. and Marie E. Gibeling Fellowship. Congratulations! 6/17/16. Katherine's paper is accepted for publication in MRX. Congratulations! 6/7/16. Jian's paper is accepted for publication in Chem. Mater. Congratulations! 3/6/16. Kathy received an Outstanding Chemistry Dissertation Award. 3/6/16. Matt received Scholarship for Outstanding Performance in the Major. Congratulations! 5/24/16. Joe received Provost Undergraduate Fellowship. Congratulations! 5/21/16. Colin Unger received 1st prize Best Presentation Award on Larock symposium. 4/26/16. Kirill served as Guest Editor for Virtual Issue of Chemistry of Materials. 4/15/16. 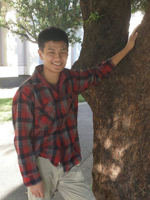 Undergraduate student Matthew Cheung joins the group. Welcome, Matthew! 3/31/16. Juli-Anna received the 2016 Iota Sigma Pi Anna Louise Hoffman Award. Congratulations! 3/17/16. Juli-Anna received an ACS DIC Young Investigator Award. Congratulations! 3/14/16. Josh received a UC Davis Dissertation Year Fellowship. Congratulations! 3/08/16. Kirill received the 2016-2017 UC Davis Faculty Development Award. 2/24/16. Juli-Anna and Katherine received Travel Awards to attend ACS Meeting in San Diego. 2/10/16. First Ph.D. from Kovnir Group: Congratulations Dr. Lee! Good luck at JPL. 1/5/16. Graduate students Shannon, Jackson, and Colin join the group. Welcome! 12/25/15. Jian's paper is accepted for publication in J. Solid State Chem. Congratulations! 12/15/15. NSF REU led by Annaliese Franz and Kirill is selected for funding. 12/9/15. Jian's paper is accepted for publication in Inorg. Chem. Front. Congratulations! 11/15/15. Undergraduate student Joe Mazzetti joins the group. Welcome, Joe! 11/01/15. Undergraduate student Joshua Chang joins the group. Welcome, Josh! 9/15/15. Josh's paper is accepted for publication in J. Solid State Chem. Congratulations! 9/13/15. Jian's paper is accepted for publication in J. Amer. Chem. Soc. Congratulations! 9/01/15. UCD faculty team led by Kirill received an NSF MRI for a single crystal diffractometer. 8/05/15. Jian's paper is accepted for publication in J. Mater. Chem. C. Congratulations! 7/31/15. Juli-Anna's paper is accepted for publication in Inorg. Chem. Congratulations! 7/30/15. Hamza succesfully completed YSP summer program in our lab. 6/24/15. Kathy received Best Poster Award at 46th Silicon Symposium. Congratulations! 6/19/15. Josh received a Peter Rock Graduate Fellowship. Congratulations! 6/03/15. Juli-Anna's and Jian's paper is accepted for publication in Chem. Mater. Congratulations! 5/25/15. Kathy received Poster Award at North American Solid State Chemistry Conference. 5/25/15. 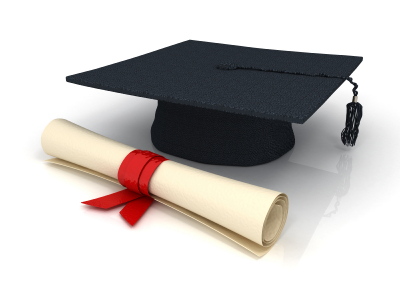 Josh and Kathy received four Departmental Graduate Awards. Congratulations! 5/25/15. Kathy received Advancing Science in America Scholarship. Congratulations! 5/01/15. Maverick and Michael presented posters on undergraduare conference. 4/03/15. Jian's paper is accepted for publication in ZAAC. Congratulations! 3/25/15. Juli-Anna's paper is accepted for publication in ZAAC. Congratulations! 2/21/15. Kathy's paper is accepted for publication in JACS. Congratulations! 2/1/15. Colin won Grand Prize in the IUCR video contest. Congratulations! 12/25/14. Juli-Anna received DOE Graduate Student Research Award. Congratulations! 12/17/14. Josh's paper is accepted for publication in Chem. Mater. Congratulations! 12/15/14. Graduate students Bryan and Justin join the group. Welcome! 12/10/14. 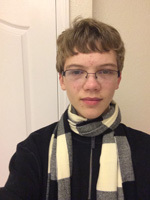 High school student Colin Unger joins the group. Welcome, Colin! 11/30/14. Josh's paper is accepted for publication in Chem. Comm. Congratulations! 11/15/14. Kirill received ACS PRF grant to study metal borophosphides. 10/29/14. Josh received Chung Soo Yoo Award from the Pittsburgh Diffraction Society. 10/20/14. 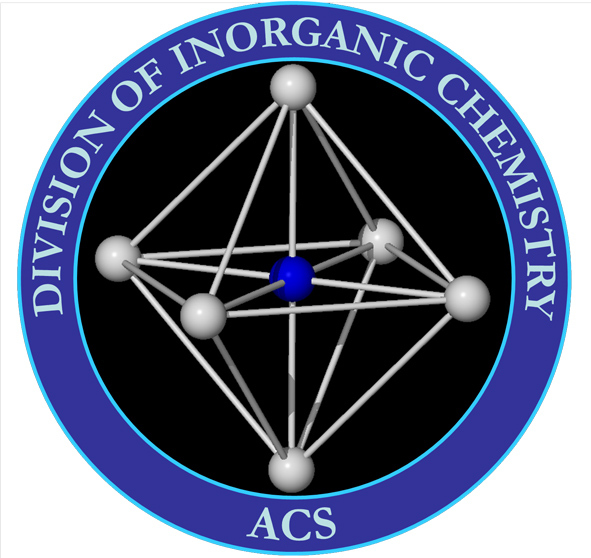 Kirill is selected as Emergent Investigator in solid state materials chemistry by ACS. 10/13/14. Jian's paper is accepted for publication in Inorg. Chem. Congratulations! 06/23/14. Summer students Max, Ali, and Nishad join the group. Welcome! 06/13/14. Congratulations to Sarah and Ryan who received Bachelor Degree! 05/01/14. 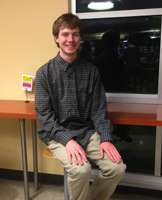 Undergraduate Alexander Coffman joins the group. Welcome, Alex! 04/23/14. Kathy's paper is accepted for publication in JSSC. Congratulations! 04/07/14. Juli-Anna's paper is accepted for publication in Chem. Europ. J. Congratulations! 02/01/14. 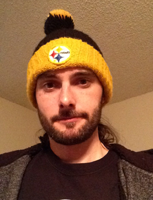 Josh's paper is accepted for publication in Inorg. Chem. Congratulations! 1/14/14. Postdoc Katharina Snyder joins the group. Welcome, Katharina! 1/10/14. 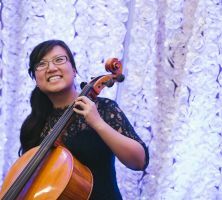 Graduate student Katherine Woo joins the group. Welcome, Katherine! 1/8/14. Juli-Anna received ICDD Crystallography Scholarship. Congratulations! 01/02/14. Ryan received Provost Undergraduate Fellowship. Congratulations! 12/12/13. Kirill received American Chemical Society YCC Leadership Development Award. 12/03/13. 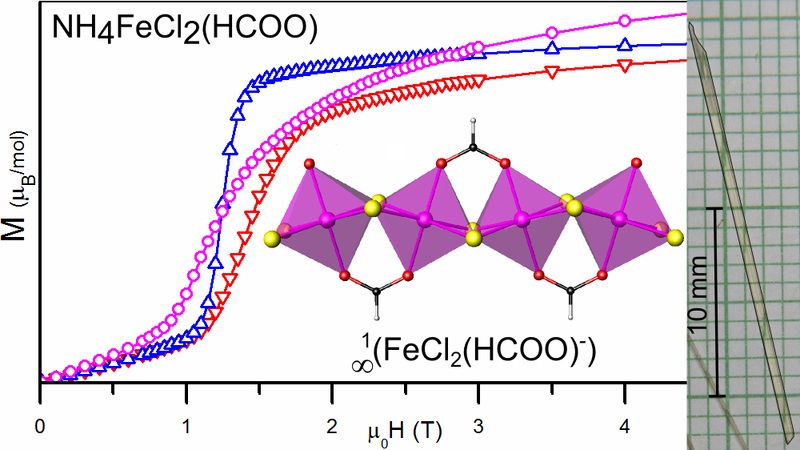 Chongin's paper is accepted for publication in JACS. Congratulations! 10/25/13. Kathy recieved GAANN Graduate Fellowship. Congratulations! 10/01/13. 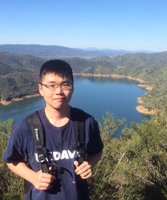 Undergraduate Michael Chen joins the group. Welcome, Michael! 08/08/13. 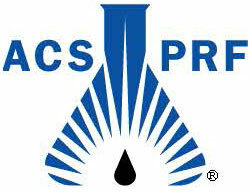 Maverick has completed ACS SEED Phase II program. Congratulations! 08/06/13. 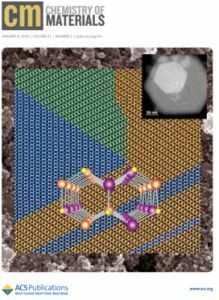 Juli-Anna's paper is accepted for publication in Crystals. Congratulations! 07/29/13. Our JACS paper has been highlighted in C&EN News. Congratulations! 07/15/13. 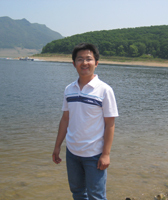 Jian Wang joins the group as a Postdoctoral Fellow. Welcome, Jian! 07/17/13. James's paper is accepted for publication in JACS. Congratulations! 06/17/13. Congratulations to Chongih who has received Bachelor Degree! 5/23/13. James's and Kristin's papers are accepted for publication. Congratulations!